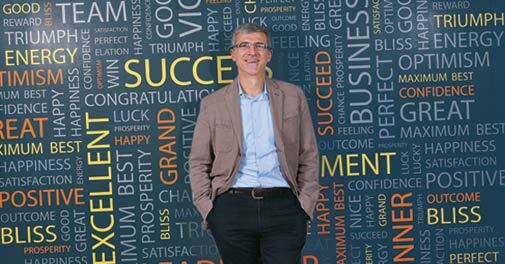 Forty per cent of Amazon's revenues comes from overseas and Diego Piacentini, Senior Vice President, International Consumer Business, Amazon.com is the man responsible for them. He speaks to Sunny Sen about how India is different from China, and why India has a lot of potential. Q. Jeff Bezos's wife MacKenzie disliked Brad Stone's book on Amazon "The Everything Store". How did you find the book? A. Yes, she gave the book one star. The one major issue with the book is the number of inaccuracies it has. For readers like us, who have been living through most of the history of Amazon, it is mind bugging. Having said that, the intent was good to describe a company that's changing the world. It's just the overemphasis on some aspects that we don't think were real. Q. Did you meet the author? A. Yes, I did. He has mentioned in the book that I paid the restaurant bill. Q. You joined Amazon from Apple in 2000. Do you think that there are similarities between them? A. The Apple I worked for, when I was responsible for Apple Europe, the Apple of Steve Jobs, had one main similarity with Amazon, which is that both are companies that do not copy models but invent things… Apple changed the way users interact with the computer. Amazon invented a new way of shopping. When I joined Amazon from Apple, I thought Apple was a company which invents customer-centric products. But when I joined Amazon I realized that customer centricity has been taken to a completely different level (at Amazon). Q. What is your key learning from Amazon's business in China? A. The difference between China and India is that China was an acquisition. In India, it was an operation started from scratch with thousands of employees. A lot of people we work with in India have worked with Amazon.com for many years before. So India is a new operations handled by some really experienced Amazonians. Amit (Agarwal, the Country Manager) is an example of that. Someone, who has known the culture of Amazon for many years. One of the main things we learnt from China is that the amount of investment needed is huge. That is the reason we started in India in a much more aggressive way in terms of investments than we did in China several years ago. And of course, we are a much larger company today. The other aspect is that the number of Amazon customers in India is much bigger than the number of customers in China when we started there. So we have started with much more customer knowledge in India than in China. Even today, Amazon in China is pronounced and spelt differently. It is pronounced in China as "YAMASHI". It is an added complication. Q. Did you grow this fast in any other country? A. I think India represents a unique story. But when we compare countries with potential like India or US or China, India has the fastest growth. Q. Are there any key buckets of investments in India? A. I would say logistics. But we are also investing in payment infrastructure and mobile technology. These will go even beyond what we did in the US in the mid 1990s. Amazon was launched in the US and in Europe on the foundation of an efficient payment infrastructure. Everybody would use a credit card. In the case of India, you have to offer multiple payment systems - cash on delivery, credit cards, debit cards, net banking. So we are already offering multiple platforms. In Europe, we have just one payment system. What we see in India is the potential. Q. Is there a budget for India? A. We do have an internal budget. Q. How much will you invest in the next five years? A. A lot! Please don't expect me to give a number. Q. Do you also keep that in mind that while you invest in a company you need to have revenue growth in tandem? A. One of the characteristics of the company is that we are very long-term focused. In every country that we are present in, we don't look at one year or two years from now. Everything we are doing is so that we are happy five to seven or 10 years from now. So what we are investing now is to build a company 10 years from now and not for two or three years from now. Q. How do you define long term? A. Long term is what we think is right! I know that might sound trivial and may be even paradoxical. In every country we say, 'It is Day 1' because e-commerce is still a small percentage of the whole of commerce. So after 15 years, we still say that it is Day 1 in the US. There is no fixed definition of long-term. But it is definitely more than 10 years. Q. What is the one thing that went wrong in China? A. Think of Amazon as a company that went into China as a completely unknown entity. It was a Western company that was new to the Chinese. Even the pronunciation of the name was unfamiliar to them. But after seven years, we are in the top five websites which is a great thing in a market like China. We look at the glass as half full and not half empty. Others would say how was a Western company like Amazon developed in China? But I would like to say that in seven years we built Amazon in China. How many Western companies are there in China in the internet space? Not many. I can count only one - that's us. Q. Do you think India's foreign direct investment policy is a big constraint? A. We would obviously love a much more relaxed FDI regulation. We would love to control our own destiny and also think that it would help the entire ecosystem. It would benefit the consumers and the economy in general. Q. Have you considered Flipkart while charting out Amazon's growth process? A. We are incredibly focused on our customers. We are also very aware of what the competition does. But don't forget ecommerce is a segment which has room for many winners. It is not going to be a one winner-takes-all. Even in the US, our market share is far from only one winner. Even if we are the number one, there is a number two and a number three. But we watch our competition very closely. Q. When was the last time you had a review with Jeff Bezos on India? A. We just discussed before Christmas. Q. What were the key pointers? A. The key points were "invest big in India". He is driving this himself. So that's the level of commitment to India. Amit reports to me and I report to Jeff. We keep the organisation very flat intentionally because we know that speed is key. We want to invest a lot in India and we want to do this very fast.